A few articles and holiday gift guides have included my books this month. 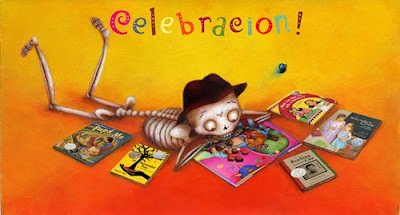 Just in Case: A Trickster Tale and Spanish Alphabet Book is featured in Latina Magazine along with a small selection of other Latino themed and Spanish Language books here. This list also includes one of my favorite books this year: Animal poems of the Iguazu/ Animalario del Iguazu, by Francisco Alarcon and Maya Christina Gonzales. The BCCB of the University of Illinois has an annotated list of books for youth 2009, here. My Book Just in Case it is there too. My newest book, My abuelita, written by Tony Johnston appears in the San Francisco Chronicle Holiday Gifth Guide, and it is recommended in Over The River, Through the Woods: A Literary Visit To Grandma’s House by The Bulletin. 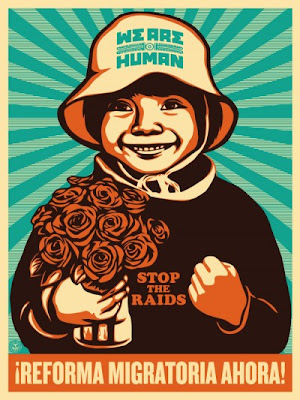 The United Farm Workers store recommends, of course, Harvesting Hope: the Story of Cesar Chavez, and so does the Donnelly/Colt Progressive Resources Catalog. While you are there also check the Peace Bank, a terracotta sphere with the word peace inscribed in many languages ( I am putting that one in my own list). 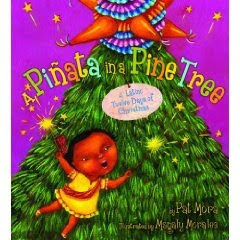 Now, if looking for a Christmas themed book, here come the recommendations for A Piñata In A Pine Tree, A Latino Twelve Days of Christmas, by Pat Mora, illustrated by Magaly Morales (yes, my sister), at the Contra Costa Times, The Horn Book, Grand Rapids Living, Children's Literature, and School Library Journal. My personal favorite this season? Besides A Piñata In A Pine Tree, which offers a luminous representation of Latino Christmas, I was captivated by the poetry of Diego: Bigger Than Life by Carmen , Bernier-Grand and David Diaz. A powerful book. Often people ask me where to find my books or those titles that I talk about, and I always send people to their neighborhood independent bookstore. I also recommend that if the bookstore doesn't currently have those books, to ask the clerk to requested them. Most bookstores will have the book available in a mater of a few days, and this is the best way to let local businesses know about more books that people want. But in case you need online help with obtaining books this holidays, I have included links to Amazon; just click on the titles. Royal de Luxe - LE RENDEZ-VOUS DE BERLIN, DAS WIEDERSEHEN VON BERLIN from Nina. on Vimeo. 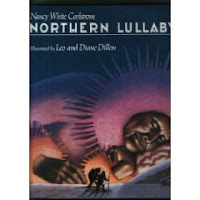 There is my book!--The New York Public Library released their Children's Books 2009 - 100 Titles for Reading and Sharing. Yes, that one is mine. Etiquetas: abuela, latino books, shine. My friend Jim Averbeck and I have been in the look out for evidence in the existence of ghost; more specifically of the famous Mexican ghost of La Llorona). I became interested since lots of children have reported to me (apparently school visits are a great way to collect testimonials) how THEY or someone in their family have seen or hear La Llorona crying. Have you? Nick Glass came visit last spring and we had a day of talking, filming, and working (and some eating of tortas de queso fresco too), and the result of his visit is now my author program available at Teaching Books Net. If you are not familiar with Nick's work yet, let me tell you that Teaching Books Net is an amazing resource for exploring children's and young adult books and their authors. The program that Nick created about me and my work includes two mini-documentary movies (one of them in Spanish), a written interview, movie transcripts, Bibliography, and many other resources like name pronunciation for children to learn how to pronounce the names of authors like me that have weird names. You can find it all here. Yeah, there are lots of other authors too, like my beloved Ashley Brian, the incredible Peter Sis, and many more--so worth cheking it out. 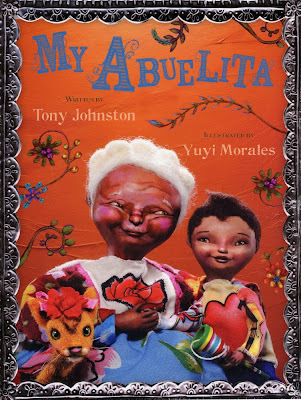 I have been so absorbed in projects that I haven’t had a chance to celebrate that my newest book, My Abuelita, written by Tony Johnston, has hit the shelves this fall. There are many reasons for me to be excited about this book, but the most important one is that it was a challenge to illustrate it, and that I did it. And so, in the spirit of a little release celebration, I though I would show how My Abuelita was made. Making My Abuelita from Yuyi Morales on Vimeo. Six years. In 2003, when I signed the contract to create the illustrations for My Abuelita, written by Tony Johnston, I didn’t anticipate that it would take me this long to see the work completed. But at the time I had other books to finish before I could begin any new project, and so time began to pass. Time passing is a good opportunity for daydreaming. Daydreaming is an opportunity for imagining. And imagining is how my illustrations start. During the years I needed to complete other books, I imagined how the illustrations for My Abuelita would look someday. When it comes to my work, I don’t really imagine things like a character’s features or the colors of skin and clothes. Instead, I imagine possibilities. And so I began imagining the possibility of making the illustrations for My Abuelita not with paintings, as I had done with all of my previous books, but utilizing something I had long adored: dolls and puppets. When I had just arrived in the USA from Mexico, I fell in love with making puppets. I learned about it from books I borrowed from the library. It was through making puppets that I began exploring the creation of my own stories and characters, which eventually led me to create my own books. Yet I have never stopped loving the wonder of inanimate objects moving, posing, and coming alive to enact stories. In 2006 I finally started working on My Abuelita, a story of a grandmother and her grandchild living together and bonding through imagination and storytelling. By then I had closed my eyes to my own doubts. I had decided to use puppets and props to make scenes, buy my husband, Tim, the camera he’d always wanted, and finish the illustrations using digital media. There were still plenty of things I didn’t know how I would do, but I trusted that I would find a way of learning—I would study or ask people to teach me, and one way or another I would figure it all out. The work began with bad drawings, as usual. My first attempts always produce the simplest and roughest drawings. They are stick people without features or details—pure shape and energy. Later, based on the text, I began refining my drawings to conjure this grandmother shaped like a pumpkin, her loving grandchild, and their cat, Frida Kahlo. As I was establishing the look of my characters in sketches, I began working on thumbnails, small drawings where I concentrate on the compositional and storytelling elements of the 32 pages of the book. While in the past I have used my thumbnails as the road map for drawing refined sketches and ultimately paintings, this time my thumbnails were the reference for creating three-dimensional scenes. In these thumbnails, all of the characters, places, situations, attitudes, and objects in every scene were established. With my general plan for the book visually laid down, it was time to begin building the characters and elements that would appear in the illustrations. I wrote down a list so that I would not forget anyone. I have made puppets before; papier-mâché pulp is my favorite construction material. But I knew that My Abuelita needed puppets that would withstand extensive maneuvering. I would need to position them in diverse poses and attitudes, and they would need to stay. So I began studying stop-motion animation techniques. On a wire structure I built by twisting wire and wrapping silk thread, I sculpted my characters. I used polymer clay, which stays soft and malleable while working, but hardens when baked in a kitchen oven. Because I needed my characters to move, I left bare wire joints for the neck, knees, wrist, fingers, waists, and more. Later I would cover the joints digitally. Once baked and hardened, I primed the figures and began to paint them. I decided then to give my puppets features but not expressions (including no eyes), so that later I could create expressions digitally for the different moments in the story. For Frida the cat, I mulled over how to make her fuzzy. I found my answer in felting. Using a special needle with an indentation on the tip, I learned to clump felt fibers over my wire cat skeleton and sculpt them into the shape I wanted. The hair of Abuelita and her grandchild were also made with this technique. Next I sewed their little dresses, pants, and shirts. The boy’s shirt is my favorite because I put it together with fabric printed with motifs based on a Mexican Loteria game. El corazón card became the front; el pájaro card is on the back. For many of the linens and clothes, I bought fabrics and laces in Mexico; many are common fabrics that have been used for generations. Everything from little bedroom slippers to little toys, beds, spoons, a feathered crown, and more had to be created. I painted the image of the artist Frida Kahlo with my computer, printed it on fabric, then sewed it into a lace pillow for Abuelita. Some objects, like Abuelita’s iron bed, I designed while I was in Mexico visiting my family. There I found a metal worker who, following my drawing, cut and soldered the bed for me. Other elements, like the clay dishes Abuelita and her grandchild use at breakfast, are toy crafts played with by children in Mexico. I bought mine in el mercado, my hometown’s market. To create the metal mirror in Abuelita’s house, I embossed a sheet of aluminum foil in the style of traditional Mexican silver works. 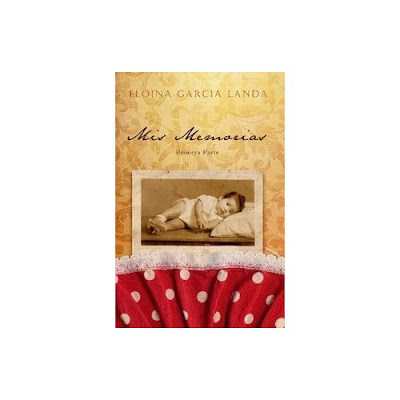 My Abuelita is a story that honors both everyday life and imagination. These two worlds come together in the story, and they needed to come together in the illustrations as well, while still being distinguishable from each other. But how? I decided to depict the real world of Abuelita’s family with my three-dimensional creations; their imaginary world would be portrayed in my paintings. And so the images began developing through an amalgam of different techniques. In my husband’s photography studio, we propped up the walls of Abuelita’s house, which were boards that I textured and painted. Using my early thumbnails as storyboards, we furnished every scene with the props I had made, and we positioned the puppets as they enacted the story in front of the camera. Depending on their complexity, setting up the scenes to be photographed took from one to three days each. Lighting played a big role. From illuminating the general scene to adding glow and shadows to each puppet, the process was handled by Tim. He listened to and interpreted my lighting wishes, experimented with different approaches, positioned photographic lamps, and even constructed miniature reflectors and small light boxes in order to concentrate light on the smallest of characters. Abuelita, her grandchild, and Frida Khalo the cat had to be given eyes and expression. Sometimes whole eyelids, mouths, and cheeks were digitally destructed and reconstructed in order to give their faces a more realistic expression. Skin was built wherever bare wire joints showed. Fingers and toes were repositioned so that they would be in visual tune with what the characters were doing and feeling. Some scenes required that new glows and shadows be manually redrawn. Real food was cooked, photographed, and digitally served in the photographed dishes. A model car that was smaller than we needed had to be seamlessly adapted to the driving scene. The alligator clamps, clay, pins, strings, and any other tools that kept the puppets, floors, walls, and props in place had to be erased. One of the last steps was the blending of the imaginary world with the real one: my paintings had to be integrated into the photographs. Using my computer, I layered every photograph with a painting, one on top of the other, and blended them together as one. I erased some parts and redrew others. I extracted or copied pieces of the images, grabbing colors and textures, and then moved them where I needed them. In a way this felt as if I were sculpting the illustrations—not much different than my adding, extracting, and moving clay when I sculpted my puppets over the wire armature. Then, after about three years, I was done! 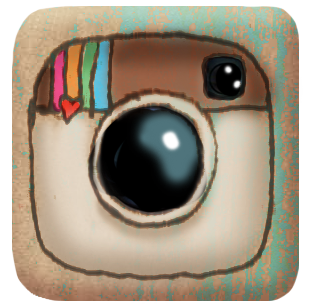 Illustrating is a series of choices. I give voice to my work by choosing ideas, possibilities, and ways of using art (and not my ability to draw, my painting skills, or how good or bad I am at anything). I hope that the way I chose to tell the story of My Abuelita comes out with a voice “as round as dimes and as wild as blossoms blooming” and that even Abuelita would be proud. Now that My Abuelita is long finished and is already a completed book, what I keep closest to me is that fantastic feeling of being at the studio, setting the puppets in the scenes. No matter how tired I was or how many times we reset the puppets (which often moved or fell, crashing the whole scene), it always made me squirm with pure delight to have Abuelita, her grandchild, and Frida the cat bring to life a scene I had only imagined. How I had dreamed of this perfect moment, ever since I was a child playing with my dolls. One. What do I know about how other people should write their stories, or make their illustrations? All I know is how I do it. But nobody wants to be me; everybody wants to be themselves, right? Two. My English is terrible, my words are endless, which means that anybody who is working with me will hear more words from me than he or she can actually understand. Three. I work even in my sleep. There is not time for anything else. People who work with me in their projects have to put up with me not having time for nothing. Four. I have a very capricious personal taste for stories and art. My opinions are tinted. Five. I am the emotional type, I can't do anything without feeling heart pains. Six. I can't make you published, really. Seven. I am afraid of sleeping in that hotel in Virginia City infested with ghost--where the mentorship program and conference took place. Eight. People know better what is best for them. If you are smart, you don't want me as a mentor. Ten. People invite me to be a mentor to aspiring authors and illustrators, and then I make videos about it (sight). If you don't believe me, here is the evidence. but I recommend you see first David After Dentist, which was our video muse. And so, here is Art Director After Conference, filmed and produced by Jim Averbeck, Laurent Linn (art director at Simon & Schuster), and Truly Yours. 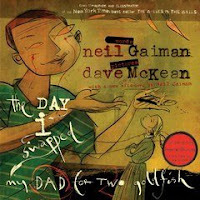 My book Just in Case: A Trickster Tale and Spanish Alphabet Book has been selected as one of the “Top 20 Favorite Read-Aloud Stories” for the New York Times sponsored Great Children’s Read event. When my mother came to visit a few winters ago, I gave her a list of request: no sweeping my house, no doing my dishes, no trying to pick up my mess, to cook only if she wanted, and to, please, please, write down her childhood memories. Against my request, she did all of the above. With the diligence of an insect my mother sat at my computer and wrote down a hundred and so pages of the things she remember about growing up. At the end of her visit, and having only recounted half of her life, she wrapped up her writing with a "to be continued" and handed me her witting. It took me about a year to revise and proof read, format the text and design a cover in my free time, until finally by next Christmas I was able to surprise her with copies of her printed memoir. Earlier this year I received a notice from the printing house that informed me that now anyone can find it in Amazon, making my mother the first person in my family to released a book this year. My mother visited us for a few weeks this summer too, and I saw it with my own eyes: she is nearly done writing her second installment. Then there is my sister, Magaly. She is the youngest of us three sisters; I am the oldest. But very early Magaly grew taller than me, developed feet larger than mine, swam faster than I could attempt, could hold her breath longer too, and when she began drawing at an early age, everybody I knew, including me, were left in the dust. Magaly's colaboration with Pat Mora resulted in her second nook this year, A Piñata In A Pine Tree. 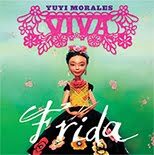 "Mora blends Latino holiday traditions of her native Southwest with some from Mexico. The gifts are ethnic dishes like pastelitos, ornaments like paper lanterns-luminarias-and spinning tops-trompos-and Mexican folk-art-styled figures. Morales's acrylic paintings complement the song, showing, in the background, family members engaged in activities that are revealed on the last page along with the identity of the amiga-a new little sister." Just like I saw my mother's, I also witnessed these books of my sister develop. While Magaly worked on her illustrations, we constantly talked and looked at what she was creating. Yes, ALA was a heaven; it was full of librarians. Two days before the ALA conference I found out that I didn’t have a plane ticket, uh-oh! The most important event of year for me, and I wasn’t going to make it. The traveling agent said I didn’t make it clear I wanted to have a ticket to Chicago, even though I bought the tickets for my husband and my son so that they will sit next to me on the plane and be with me when I received my award. Oh, well. Fortunately, the gods of the airplanes came to my rescue and got me to ALA just in time for the celebrations. 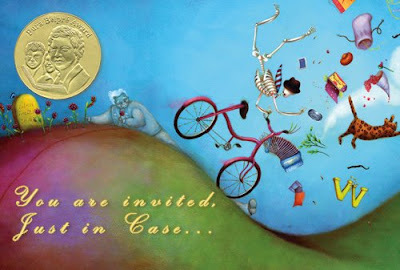 Some of the most anticipated events at the American Library Association conference are the award ceremonies for the different children’s books categories, including the Caldecott and Newberry medals. This year I went to the conference to receive the Pura Belpre Medal for my book Just in Case: A trickster Tale and Spanish Alphabet Book. And it was heaven! I did not exercise, I did not tour the city, I did not shop for souvenirs; instead I ate lots of dinners with librarians, signed books at the exhibit, and found new treasures among new books. Stitches, by David Small. What a book! This graphic novel (not exactly for little kids) is a masterpiece. Not only David has an incredible life story to tell, but he is a master at telling it with pictures. Chicken Dance, by Tammi Sauer and Dan Santa is a visual riot! Then for something softer there was Henry’s Night by D. B Johnson and Linda Michelin, with its soft and luminous illustrations. Looked at it for hours. The book I can’t wait for? 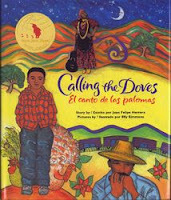 The Dreamer, by Pam Muñoz Ryan and illustrated by Peter Sis. Could there be a most perfect match? this book isn't coming out until Spring next year. Too long to wait. 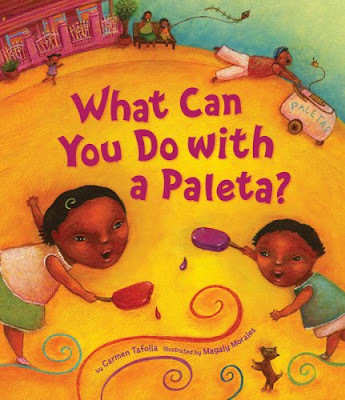 I also saw my sister Magaly’s two new books, What Can You Do with a Paleta? and A Piñata in a Pine Tree. But, of course, my day was Sunday. The Pura Belpre Award Celebration started at 1:30. Me? 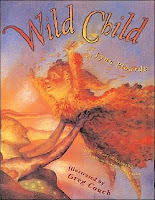 I Started with a signing at 11 am, and ended up signing books after the ceremony at about 5 pm, with only a short time to get ready for attending the Caldecott and Newberry banquet that evening. But it was all so joyful! At the Pura Belpre Ceremony I finally met Rudy Gutierrez, who not only creates striking art, but who gave a much felt acceptance speech for his Pura Belpre honor book, Papa and Me. I also met Francisco Jiménez for the first time, and people were right. He is so gentle and noble. Amazing just like his books. Have you ever been at a Pura Belpre celebration? If you haven’t you are missing a great fiesta. There were multicolored ornaments hanging from the ceiling, Latino books on the tables, presenters and award winners—some dressed on rebosos, Virgin of Guadalupe printed dresses; I wore huge red dangling earrings to go with the merriment. Of course there were also speeches, tears (muchas lagrimas, many of them mine), singing, and little girls dressed as Jarochas (a traditional dress from Veracruz, my state) dancing to the son Jarocho tunes. 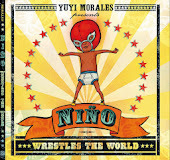 Invited from Yuyi Morales on Vimeo. “I wrote because I wanted to know what happened to next to people I made up”-- Neil Gaiman at his 2009 Newberry acceptance Speech. I am in my way to ALA in Chicago this year. I'll be having a a couple of book signing on Saturday and Sunday morning, and then the big Pura Bepre celebration on Sunday afternoon (right before heading to the Caldecolt and Neberry banquet). If you are there, come to the Puira Belpre Award cerebaration! the event is free and the it is a fiesta like no other. Sunday, July 12, 1:30 -3:30p.m. A while ago public television of Sacramento contacted me because they had heard author Erin Dealey said during a presentation something about me: that I learned English watching Sesame Street. KVIE, the public station from Sacramento eventually came to my house and filmed a testimony where I explained how that happened. I know that my testimony was aired in Sacramento because once I went to do a school visit there, and some parents were telling me how they had seen me in their TV, although it took me some time to figure out what they were talking about! I have just found out that CPB received earlier this year a PRWeek award for their My Source initiative in which KVIE had participated with one of their spots, and there, featured in the news, is the spot they made with me. You can take a closer look at article here, and can find more filmed testimonies here. 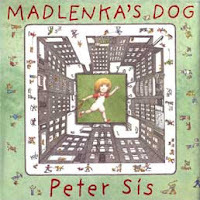 Fuse#8 announced her Picture Book poll and I decided to be brave and come up with my own list of the Top Ten Picture Books Of All Time According To Me. 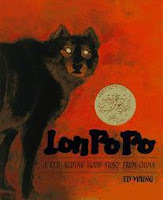 Consider that, although I have read many many picture books, I still wonder which I might have missed since I began reading them fourteen years ago after I arrived to the USA. Because I was already an adult when I started, I did not grew up with the titles I am about to mention. Instead, I grew some more with them. 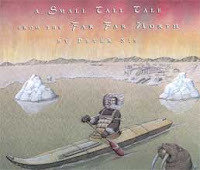 A Small Tall Tale From The Far Far North. Peter Sis. 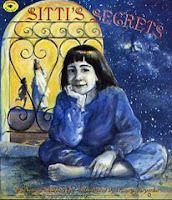 The most powerful and unforgettable of Sis' books. I literally drank this book with my eyes when I found it. 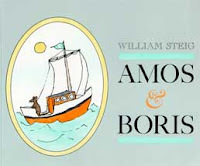 My son and I would read this story at night over and over again, transpired by the sea and the love between this small mouse and a whale. Chato’s Kitchen. Gary Soto and Susan Guevara. Barrio cats in a picture book? I couldn’t believe my eyes the first time I saw this book! 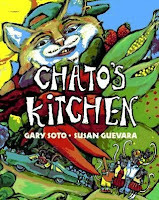 Chato is some kind of Pedro Infante of the children’s literature. The Stray dog. Marc Simont. Marc Simont is a genius. There is such a simplicity in his art, and yet, no emotion si too big for him. I cheered so much with this book. A Mother For Choco. Keiko Kasza. 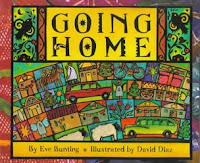 Some of the best endings ever in a picture book. This book is soulful. A song itself. There is something in this story that makes me weep. Is it the longing? I love the letter at the end of this book. I just found that Shihab Nye wrote a different kind of letter one day. Good Night Gorilla. 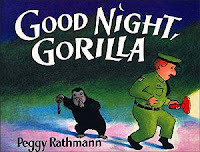 Peggy Rathmann. Storytelling at its best. There are some many undercurrents in this story. Dear Fuse#8, ten books would never be enough; a hundred books would never be enough…how could I leave out the following titles? Emeline At The Circus. Marjorie Priceman. The Mountains Of Tibet. 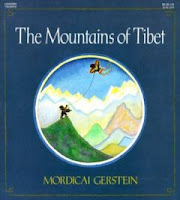 Mordicai Gerstein. 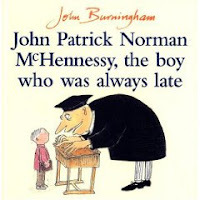 John Patrick Norman McHennessy: The Boy Who Was Always Late. John Burningham. Etiquetas: book, fuse#8, Things that make my corazon jump.